The company said on Wednesday that it expects to finish the US study and submit approval to the US Food and Drug Administration in Q1 2019. The diabetic market may see additional improvement in medical devices with a new innovative, non-invasive and flexible continuous glucose monitor (CGM). On Wednesday (September 12), Nemaura Medical (NASDAQ:NMRD) announced its CGM, SugarBEAT, received positive interim data from an ongoing clinical trial. With this news, the company expects to finish the US study and submit approval to the US Food and Drug Administration (FDA) in Q1 2019. Meanwhile, the product has an anticipated launch date in the UK later in 2018. The expected marketing focus is for Type 1, Type 2 and pre-diabetics. According to Inkwood Research, the CGM system market is forecasted to grow at a a compound annual growth rate (CAGR) of 32.94 percent from US$1.2 billion in 2017 to US$14.51 billion in 2026. Nemaura’s interim results align with its expectations of the trial, making it competing product with other CGM systems currently available. The trial was done with 25 patients with both types of diabetes. Analysis of the study represents over half of the data the company expects to receive. The home-use portion of this study, which had previously been announced had similar results to competitors. Results for Nemura’s SugarBEAT stood at an overall mean absolute relative deviation of 16.3 percent whereas Senseonics’ (NYSE:SENS) Eversense had 14.8 percent, Dexcom’s (NASDAQ:DXCM) Dexcom G5 was 16.3 percent and Abbott’s (NYSE:ABT) Libre Pro was at 18 percent. Eversene and Dexcom G5 are the most prominent products in the current CGM market, with Dexcom G5 as the first system approved to be used with a mobile app. The SugarBEAT is a small patch which sticks to the skin and monitors glucose by passing an electric current across the skin the user can’t feel. The transmitter can connect to the company’s specific app to help patients improve the understanding between lifestyle factors affecting the glucose. Other products on the market can be worn for 10-14 days, but Nemaura’s is replaced every 24 hours, warms up within 30 to 60 minutes and takes glucose readings every five minutes. This is meant to improve the appeal for patients who don’t want wear the product consecutively. The product may expand glucose monitoring to diabetic patients which use insulin. With non-continuous glucose monitoring systems patients must prick their finger to monitor glucose throughout the day. There are 58 million diabetics in Europe and 30.3 million in the US, according to IDF Diabetes Atlas. Diabetes was also one of the top 10 global causes of death in 2016, sitting at just under two million according to the World Health Organization. In the US, Nemaura predicts just over one million diabetics are using Dexcom G5 and Abbott Libres’ systems. The SugarBEAT system is Nemaura’s only product in development. Although the company is based in the UK, this trial is regulated by the FDA as the company intends to market the product in the US. Over the trading period Wednesday, Nemaura’s share price saw close to a 50 percent increase, but closed with a 33.94 percent spike to US$2.94. 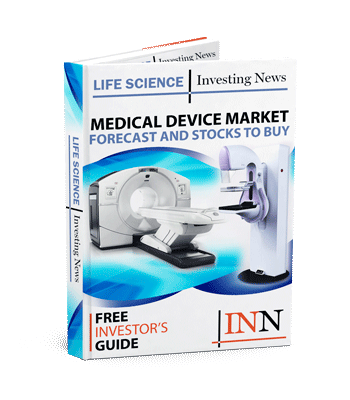 For investors looking to join the CGM systems investing space, follow additional news on Nemaura and other companies mentioned such as Dexcom, Abbott and Senseonics. For Nemaura specifically, investors can look out for news on the UK launch of the SugarBEAT by the end of 2018 and the US regulatory approval submission in Q1 2019.